Did you know that over 90% of the United States population will experience one or more cavities over the course of their lives? This means that fillings are also one of the most common dental procedures that patients will undergo. Traditionally, silver amalgam was the material of choice for repairing this damage – older patients may even still have some in their smiles. Today, though, Dr. Tran and the team at Covina Family Dental are happy to offer a safer and more attractive alternative: tooth-colored composite resin. Please contact us today here in Covina, CA if you’d like to discuss this service with us in more detail, or if you’re ready to schedule a first appointment. What is the Process Like for Getting a Tooth-Colored Filling? 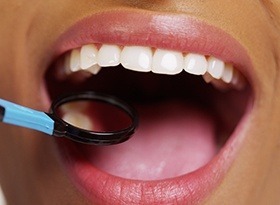 In most cases, patients can expect to have their filling completed in just one appointment. Dr. Tran will start by removing the damaged portions of the tooth as conservatively as possible before applying the composite resin to the area. Then, he will sculpt the material into place and harden it in place with a special curing light. Finally, some minor polishing will help the filling feel and look like just another part of your natural, confident smile. Amalgam fillings stick out like a sore thumb in a natural smile because of their dark, silver color. Alternatively, composite resin comes in a wide variety of lifelike shades that our team will closely match to your enamel. We want the filling to virtually disappear within your smile. Because the composite resin contains no metals, it won’t be as sensitive to hot and cold temperatures, resulting in more oral comfort. Composite resin forms a direct bond with the natural tooth enamel, which means that we can place smaller, more conservative fillings and preserve as much of the natural dental structure as possible. With the help of daily oral hygiene and professional checkups, tooth-colored fillings can be expected to last for 10-15 years or even longer.